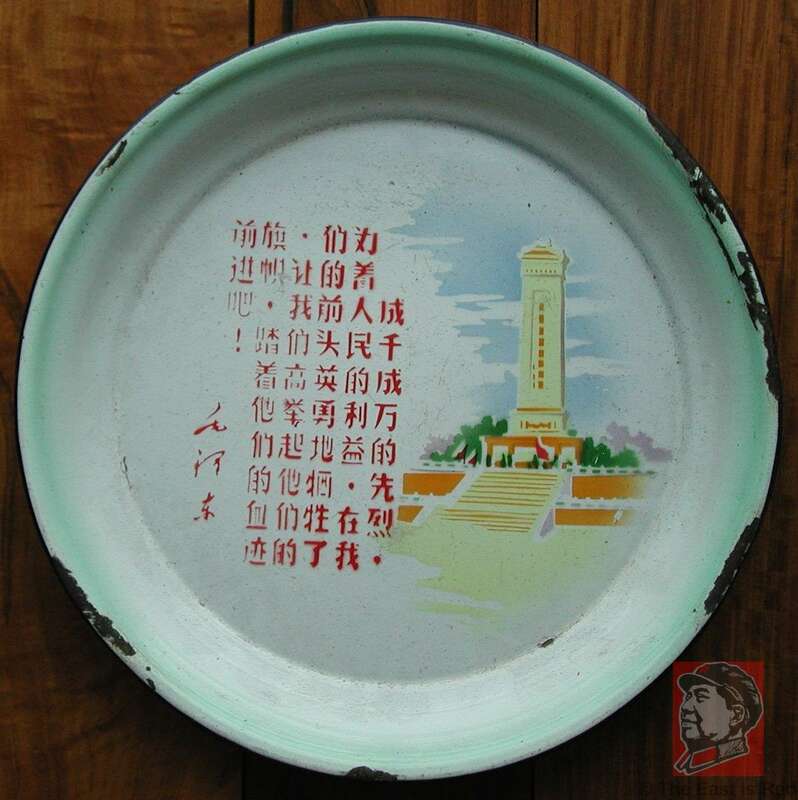 The scene on this enamel tray is The Monument to the People's Heroes in Tiananmen Square in Beijing. 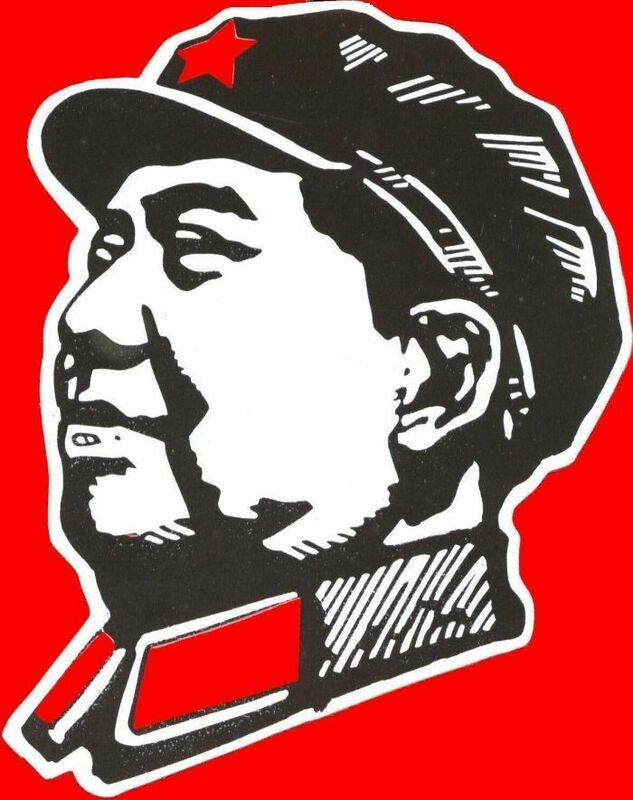 The quotation from Chairman Mao is, 'Thousands upon thousands of martyrs have heroically laid down their lives for the people; let us hold their banner high and march ahead along the path crimson with their blood!'. The tray is 32cm (12.5 inches) in diameter. 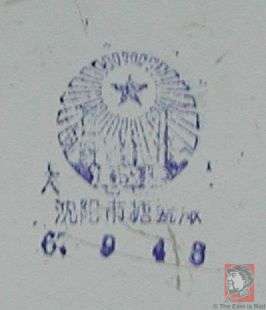 The bottom is marked, 'Shenyang Enamel Factory 67 9 1 8', presumably Sept. 18, 1967.